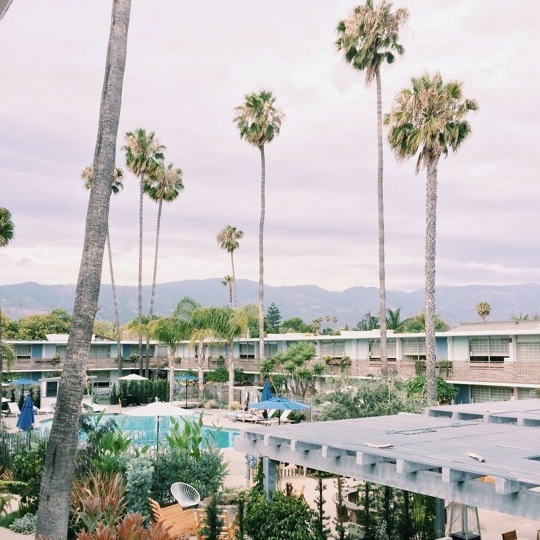 After living in Los Angeles for four years, I have finally taken a quick weekend up the coast to the breathtakingly beautiful city of Santa Barbara! 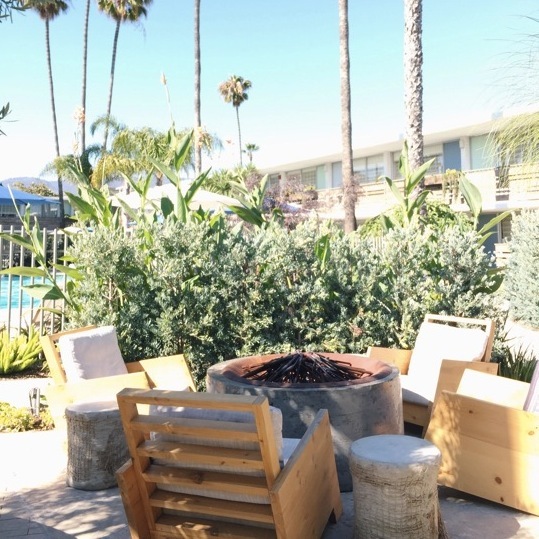 We ended up staying in a new Kimpton hotel, The Goodland, located in Goleta, CA, just ten minutes up from downtown SB. The best way to describe this place was California Hipster. 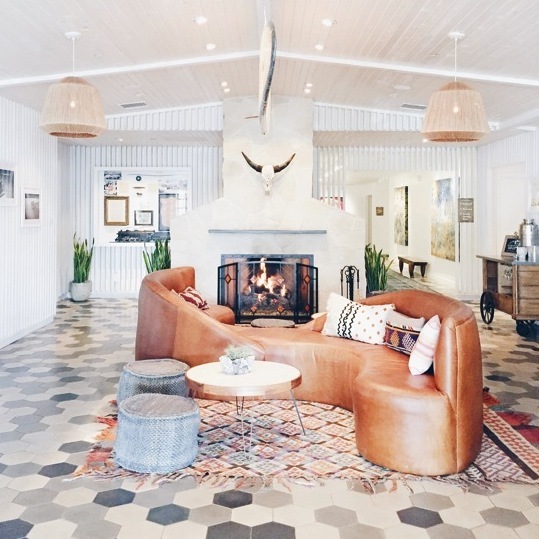 The space was relaxed and cool with white washed walls, neutral furniture and ethnic accents. It reminded me slightly of The Bungalow in Santa Monica with it's cozy, California beach house look. Not going to lie, I was quite excited to see the lobby bar car (above) and delighted with the hosted social hour that accompanied it promptly at 5 o' clock each night. Note to all hotels, this is a genius idea, please implement such a policy ASAP. 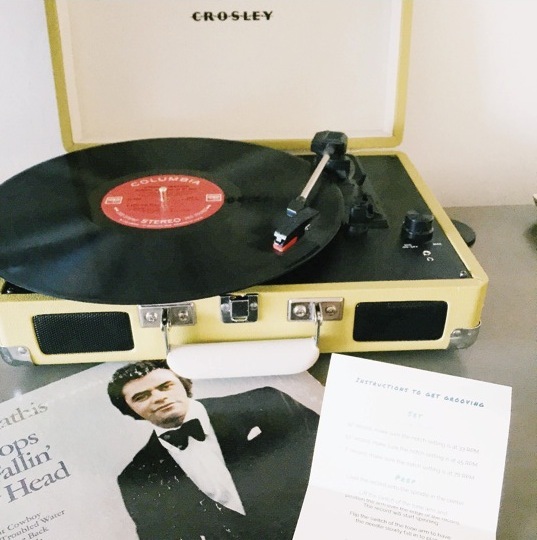 Another darling detail that made my stay here was seeing this old school Crosley record player in our room, right next to an eclectic collection of real records (yes we tried them out)! 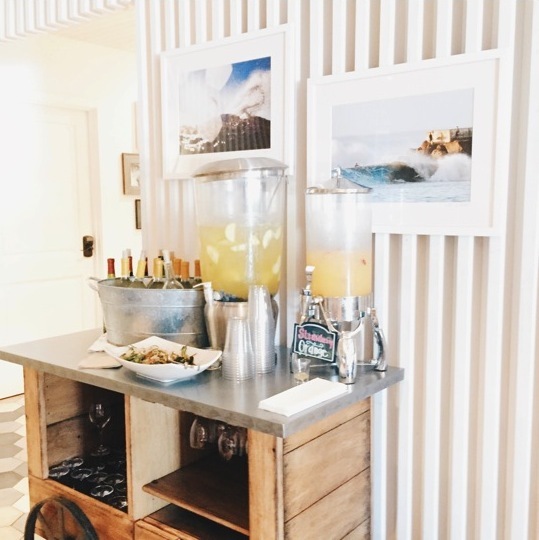 It was such a nice touch and definitely helped maintain the vintage California vibe the Goodland embodies. 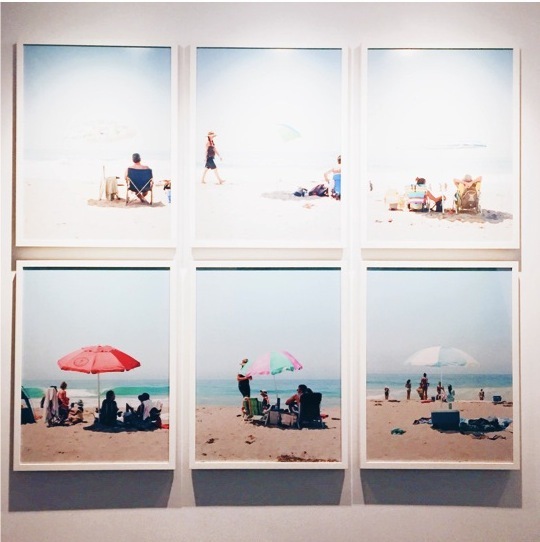 I absolutely loved the beach photography collages that lined the lobby walls. There were about ten of these photo groupings and they really blended well with the bright white walls while still adding some fun pops of color. 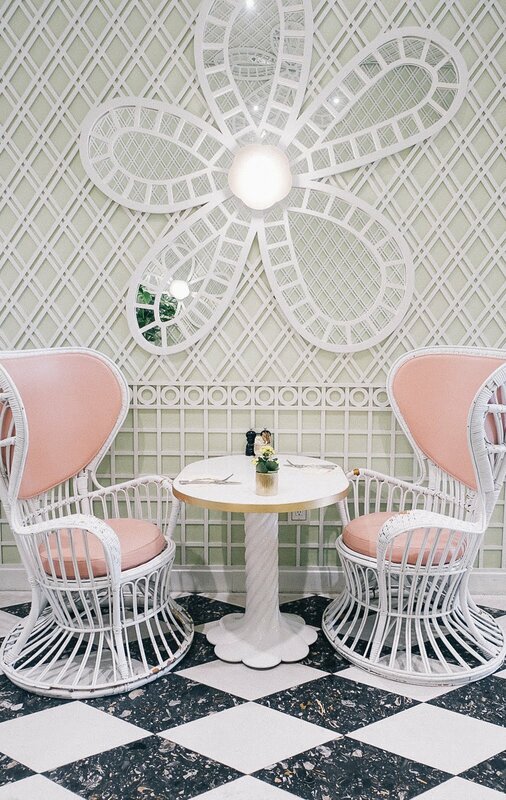 I'd love to replicate this theme in my own space somehow!